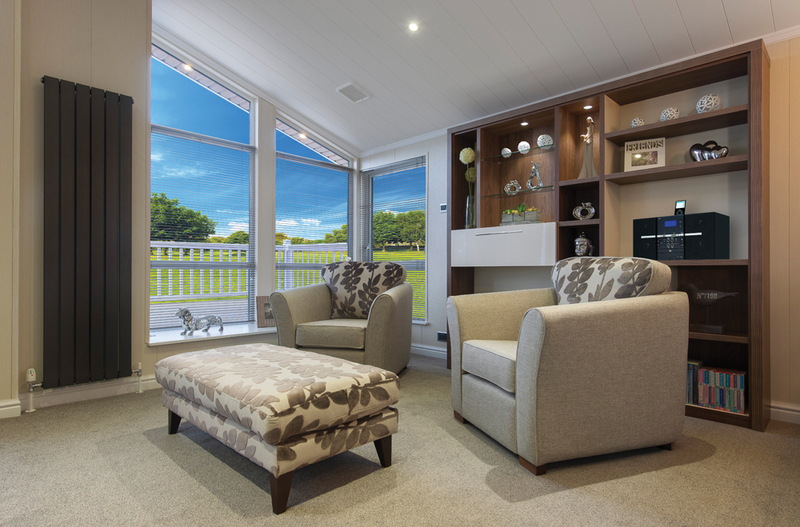 Large open plan lounge with large full length windows. 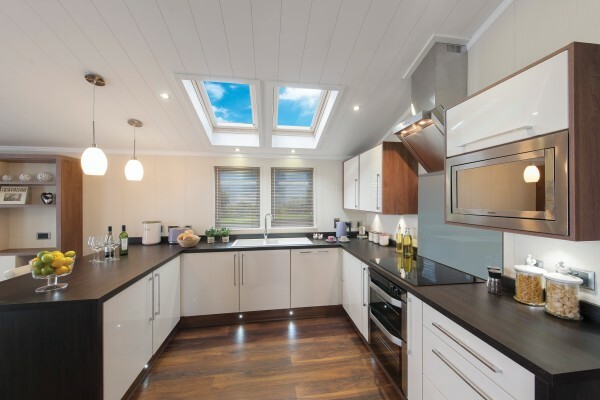 Fully equipped kitchen with quality appliances. 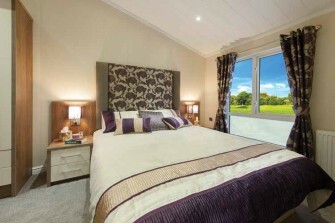 Spacious master bedroom with en-suite shower etc. 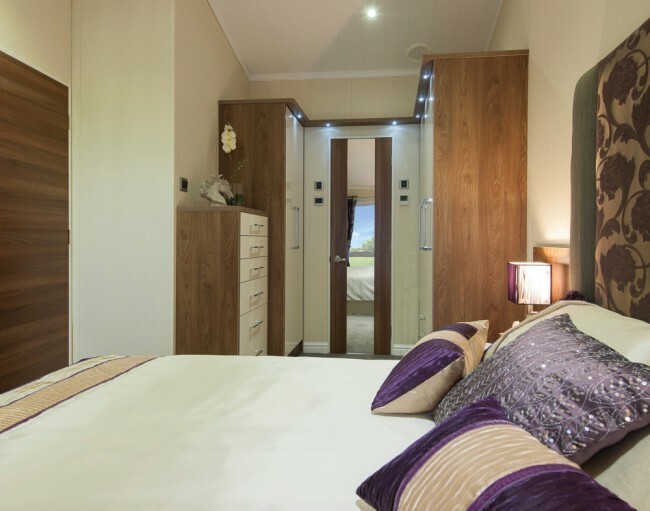 Large twin bedroom with 2 single beds. 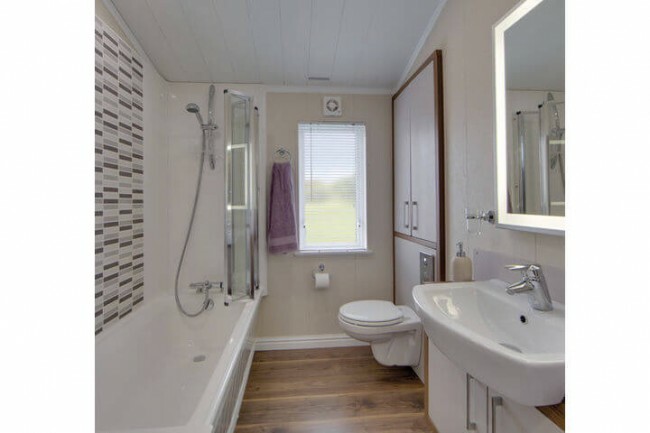 Fully equipped bathroom comes with over-bath shower. 42″ Full HD LCD Freeview TVs.. 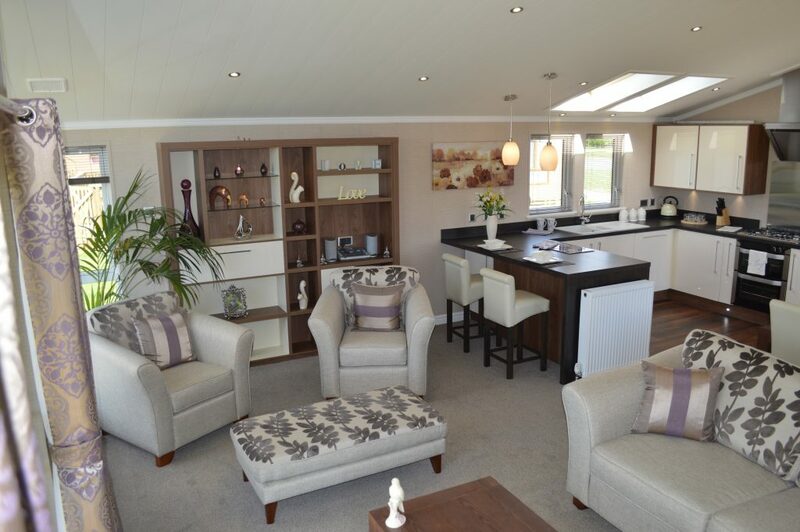 This Willerby New Hampshire Lodge has the benefit of full central heating and double glazing for use all year round. Family Bathroom room with sink and WC and an En-Suite shower room with sink and WC off the master bedroom. 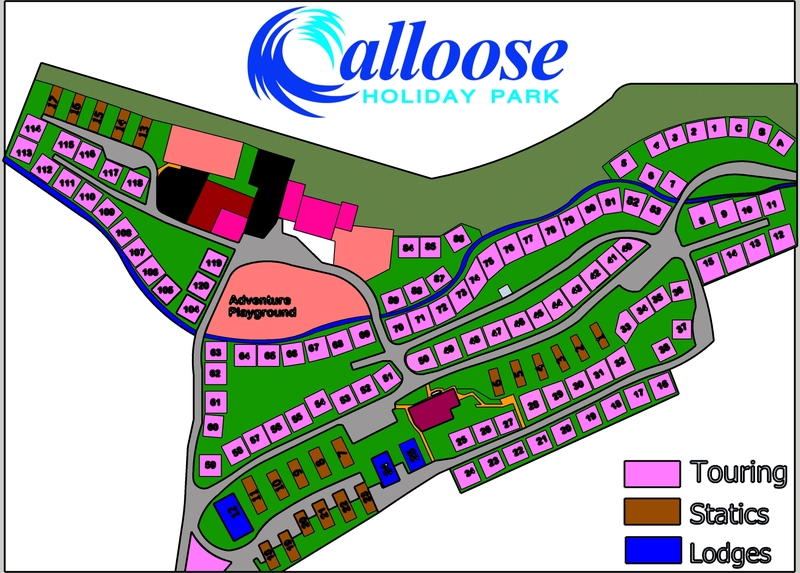 Kitchen has a full size cooker, microwave oven, fridge, freezer and dishwasher. There is also the benefit of a washer dryer. The lounge has a electric fire and 42″ TV with Free-view. 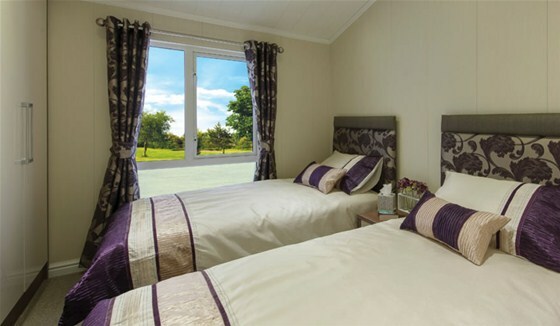 The Willerby New Hampshire Lodge has a double and twin bedroom. There is also a sofa bed in the lounge so can sleep up to 6 people.